DUBAI/ROME, Feb 14 2017 (IPS) - The world faces a “terrible lack of trust,” United Nations Secretary-General Antonio Guterres said addressing the World Government Summit in the Emirati city of Dubai, and called for reconciliation between people, their governments and global multilateral institutions. The UN chief’s speech has been one of the most strait full bold statements made in this 5th annual World Government Summit 2017 (WGS), which brought together some 4,000 world leaders and experts at the fifth annual conference in the Middle East (12-14 February). Improving governance, and improving confidence between governments and people, is essential and it is a condition to improve the confidence in the relations between countries, Gutterres said while describing the progress globalisation has brought to parts of the world, but also “the rust belts” where people feel left behind by their governments. 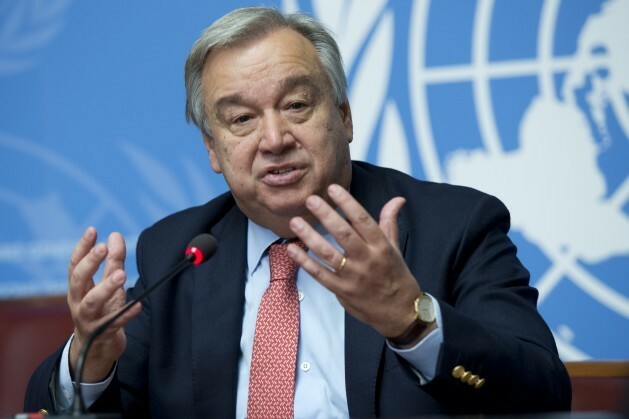 Guterres stressed the need for global responses, and global responses need multilateral institutions able to play their role”, and called for a surge of diplomacy for peace with “honest brokers” who can address the root causes of conflict and an international community that is organised to respond. The UN chief also singled out the Security Council, which he said no longer corresponds to the logic of today’s world in relation to what the world was after the Second World War when the UN and its main body for maintaining peace and security were created. Speaking at the opening of the World Government Summit in Dubai, Sheikh Mohammad Bin Rashid Al Maktoum, Vice-President and Prime Minister of the UAE and Ruler of Dubai, said economic openness is a ground reality. The UAE prime minister underlined that success is not measured by the size of a population nor by the modernity of countries or oil resources, but by will and management. Against this backdrop, the UAE minister of State for Tolerance, Sheikha Lubna Al Qasimi, focused on her country’s policy of promoting tolerance and fighting extremism. This year, more than ever, people from all over the world should continue their dialogue and together find ways to promote coexistence and acceptance – and counter the waves of division that are increasingly inciting hatred and extremism, she said. According to Sheikha Lubna, facilitating dialogue that builds understanding between cultures is important. But governments, too, have a critical role to play, the UAE minister of State for Tolerance stressed, reminding that in her country, for example, new policies and initiatives are promoting greater understanding among all people and bringing cultures together. “Recently, I had the honour to be entrusted with our newly-established National Programme for Tolerance as Minister tasked with strengthening the government’s role as an “incubator” of tolerance, promoting tolerance, coexistence and respect for others throughout the UAE. Sheikha Lubna also underlined the fact that the UAE is home to over 200 nationalities from almost every corner of the world, with 80 per cent of its population being expatriates. 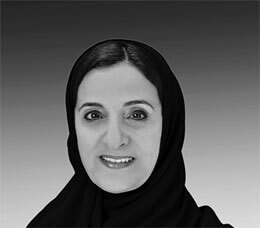 The late Sheikh Zayed bin Sultan Al Nahyan, the UAE’s founder and first president, was an advocate of peace among all cultures, a strong believer that hatred and terrorism have no place within humanity, Sheikh Lubna reminded. The WGS brings together prominent leaders from the public and private sectors, as well as international thought leaders and pioneers. They engage in inspirational, thought-provoking, and future-focused dialogues that aim to shape the future of governments and help improve the lives of citizens worldwide. This year’s edition of the Summit gathered high representative from over 130 countries, with more than 100 key speakers and around 4,000 participants. The Summit’s key themes included: Innovation of Government; the Future of Government; Government Services, and Smart Government. The World Government Summit Organization regularly produces series of specialized studies and reports published for the first time in the region, seeking to be a platform for regional exchange of knowledge and expertise in the field of shaping the future governments. Some key reports have dealt with the Future of Money; Best Government Emerging Technologies; Pro-Active Government and the Future of Cities.